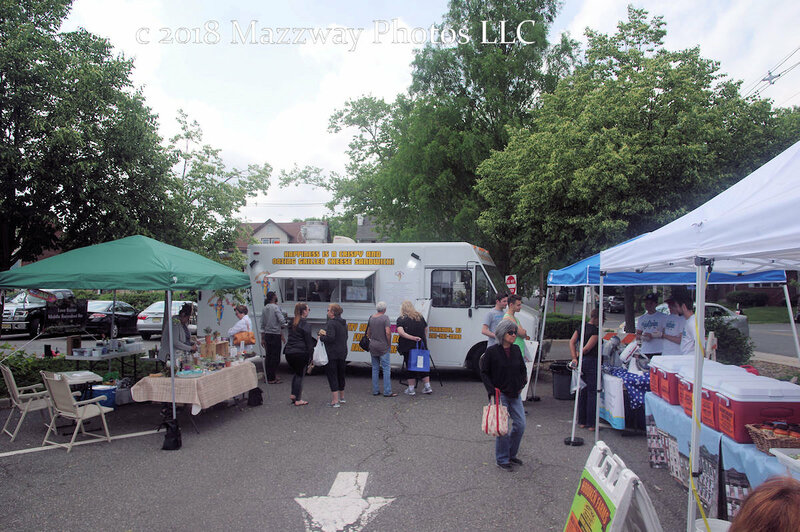 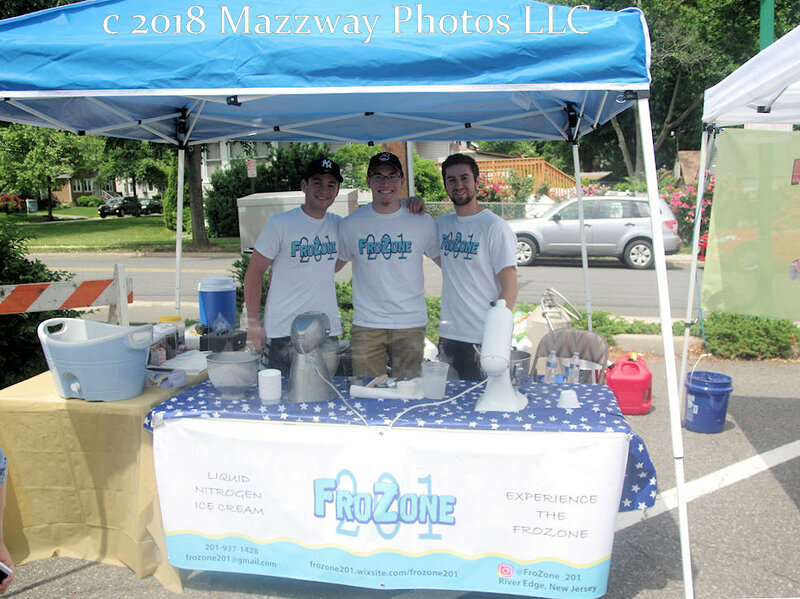 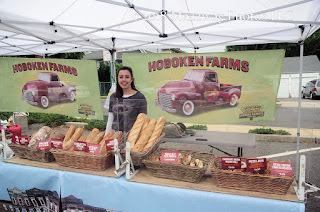 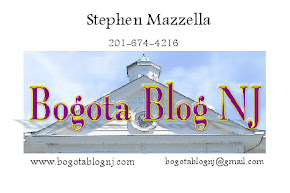 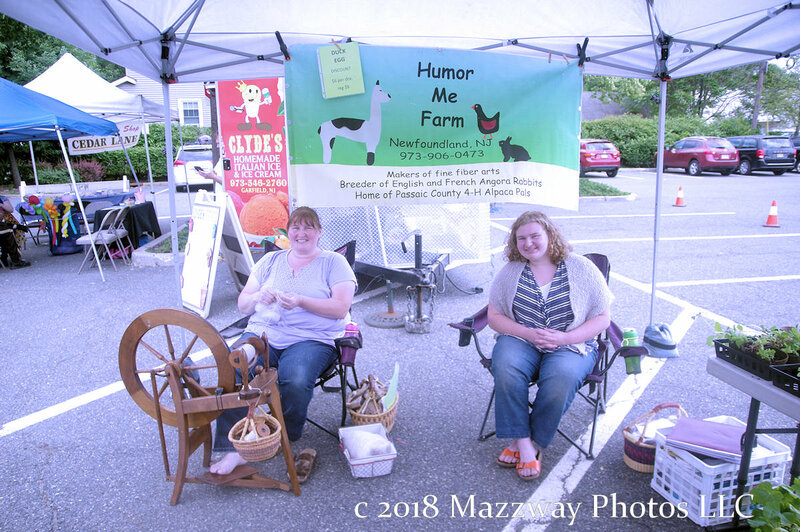 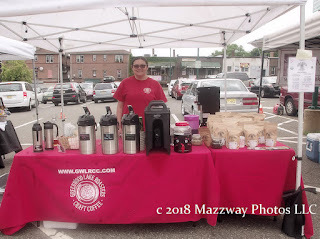 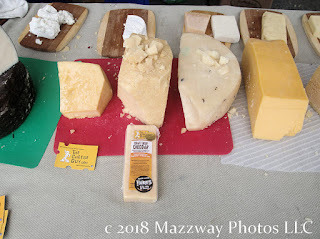 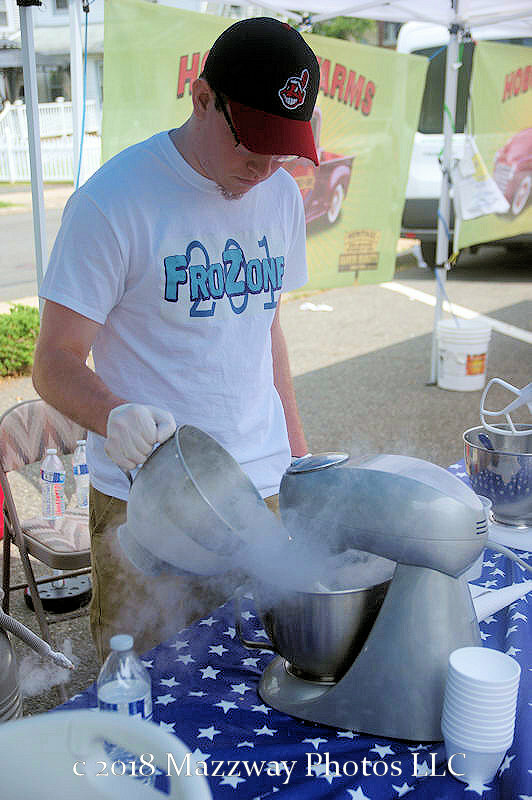 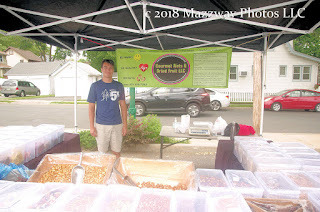 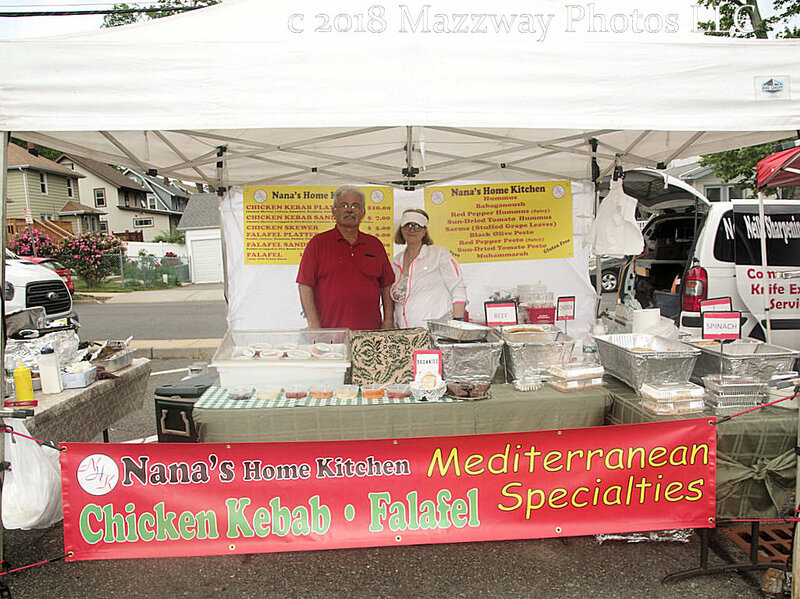 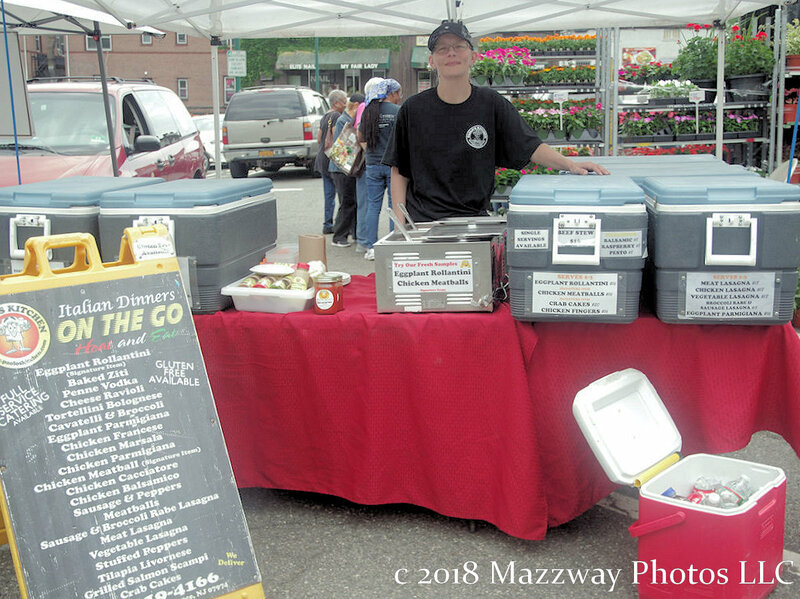 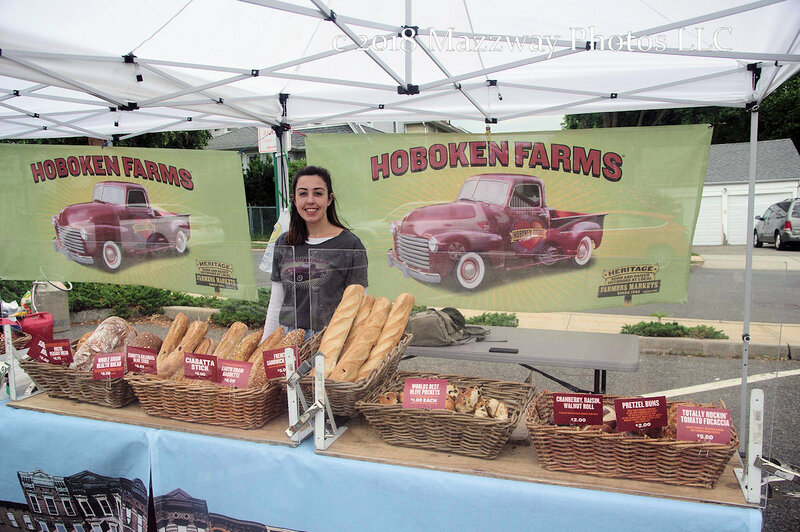 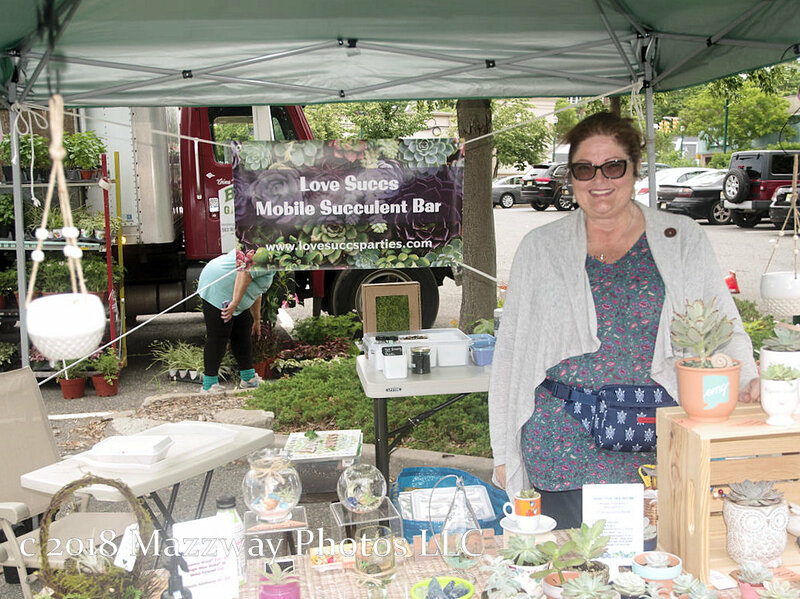 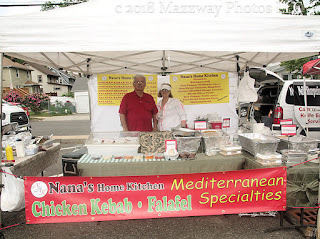 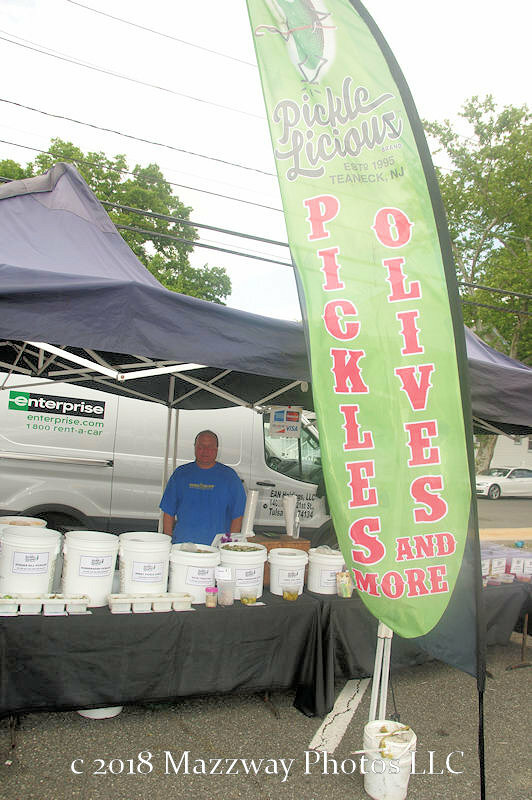 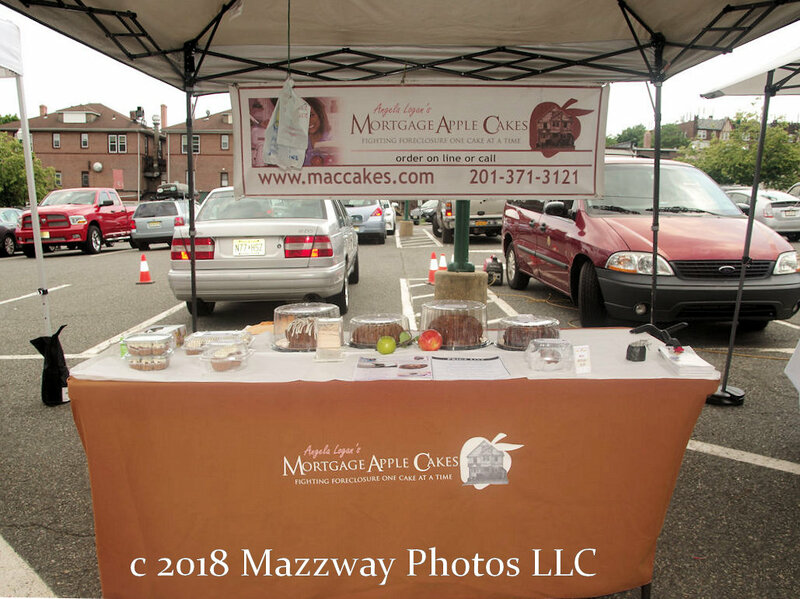 Thursday-7-June was the first day of the 2018 Teaneck Farmers Market. 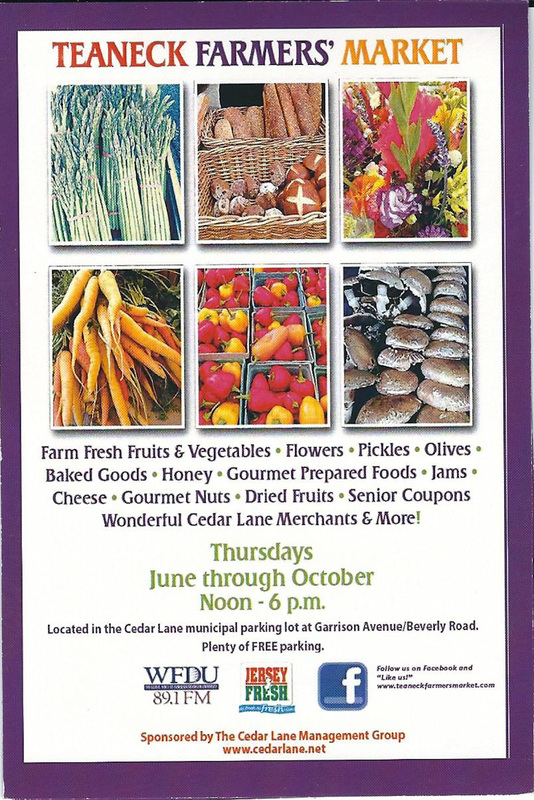 This is sponsored by The Cedar lane Management Group and will take place every Thursday from now until October. 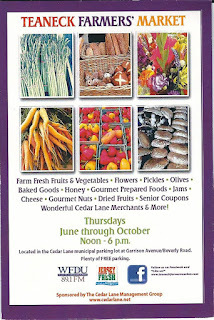 The Market will be open from noon until 6:00p weather permitting. 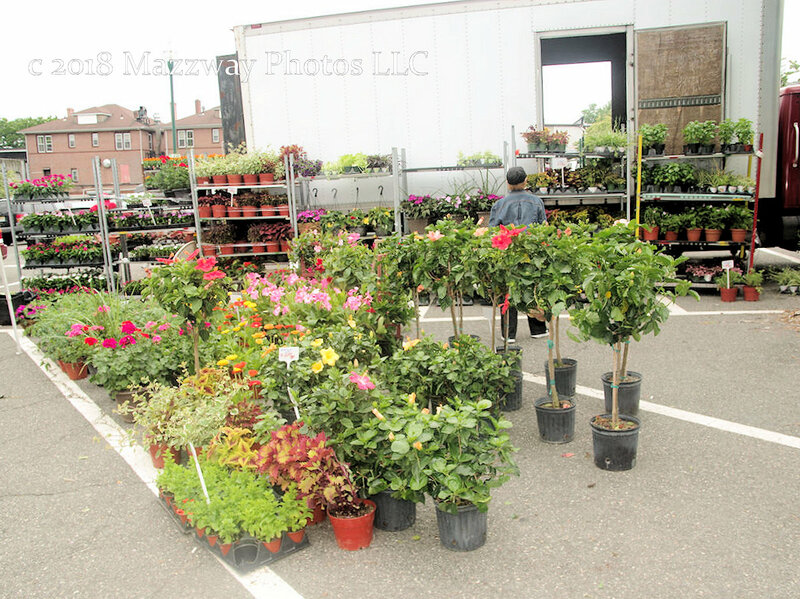 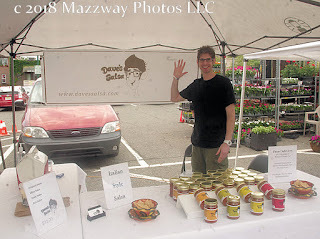 The Teaneck Farmers Market is located in the Garrison St. municipal parking lot along Beverly Rd Teaneck, NJ. 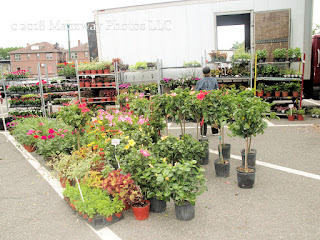 There is additional parking available near by. On this opening day the the sellers ranged from bake good and cheeses to pre-made items that could be served at home. 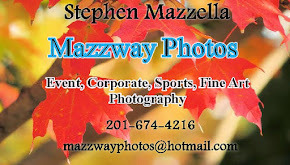 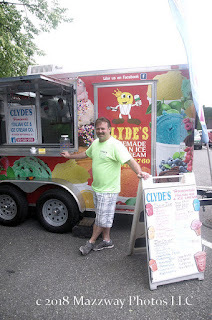 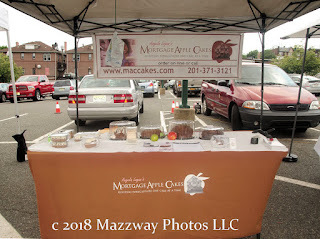 There were a few Teaneck Business that had booths set up including Mortgage Apple Cakes and Picklelicious. 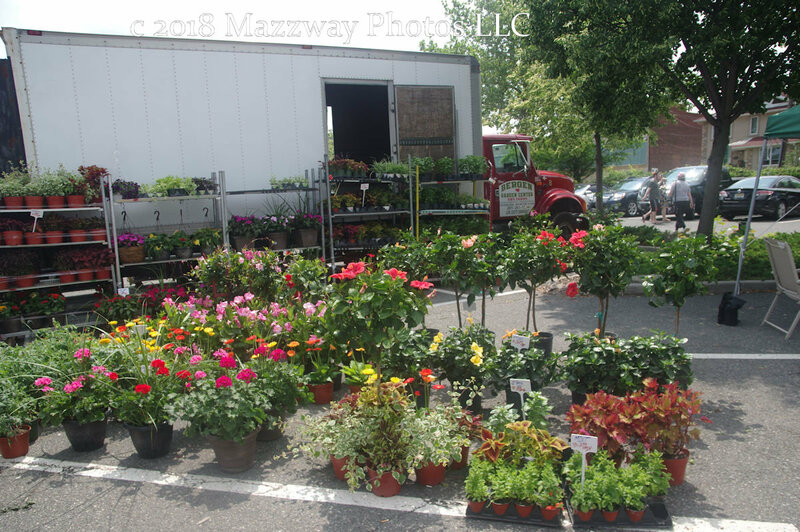 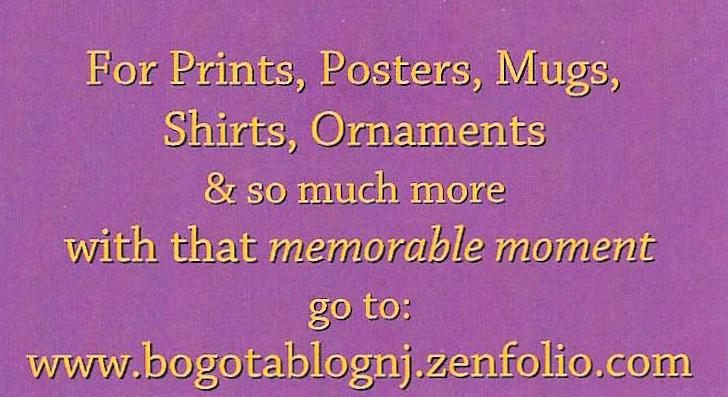 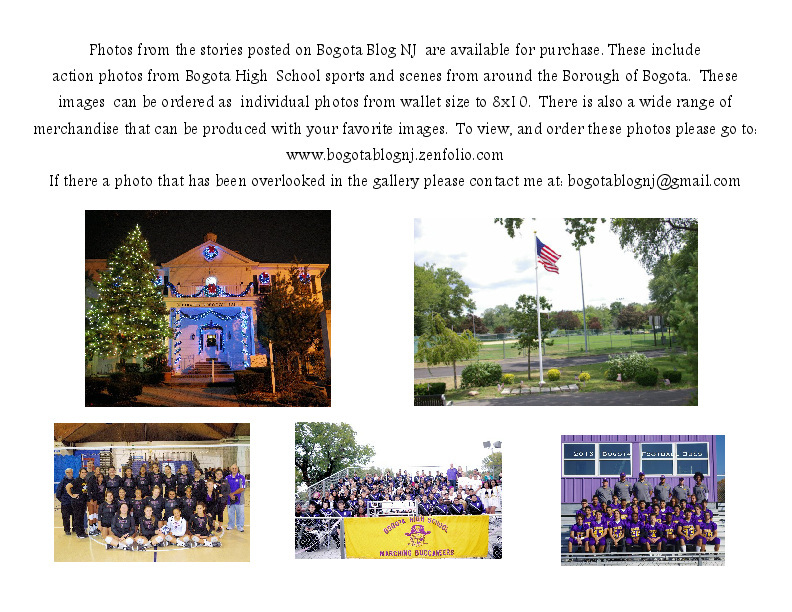 Other establishment from near by areas were Hoboken Farms and the Bergen Garden Center. 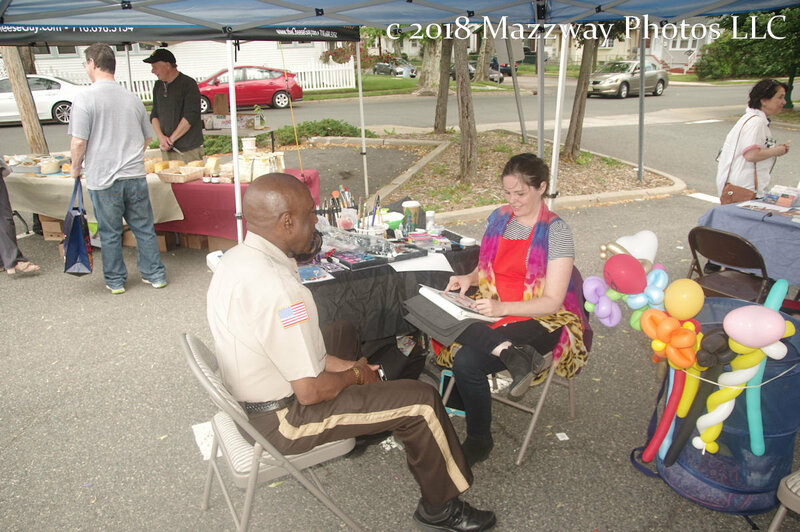 Most weeks there will be specialized booths, or other attractions in attendance. This week there was a knife sharpening by Neil's Sharpening Serivce. 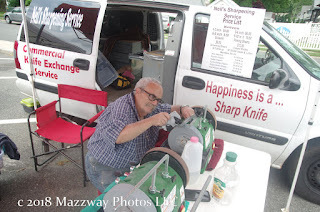 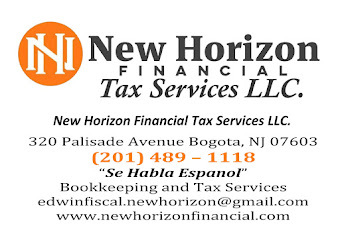 This provide on the spot service for many sharpening needs. 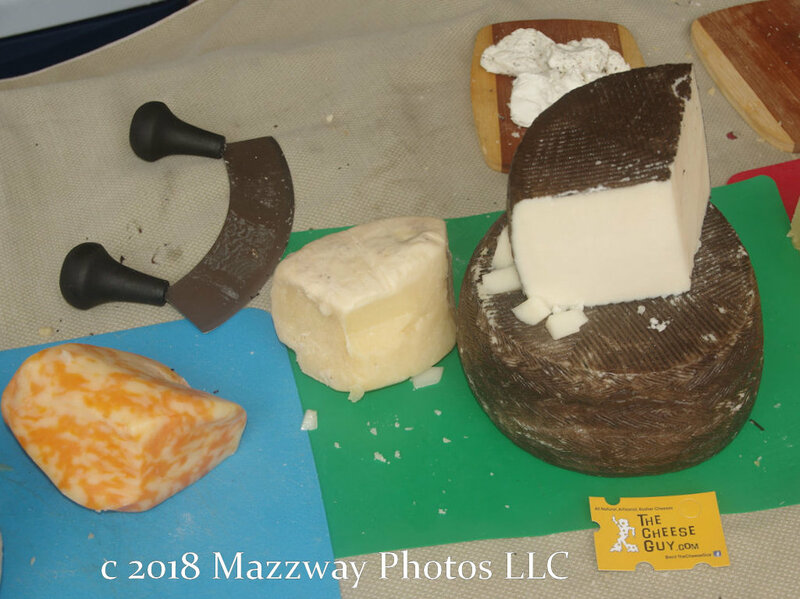 Neil's is set-up to handle the requirement of Kosher laws with dedicated machine for Dairy, Meat, and Parev along with a machine for general blades. There was also a chance to sit and relax while getting a character draw of ones self made proved by the Teaneck Library. 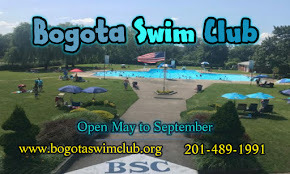 The next event will be an opportunity to donated blood through Holy name Hospital on Thursday-14-June from 1:30-5:00p. 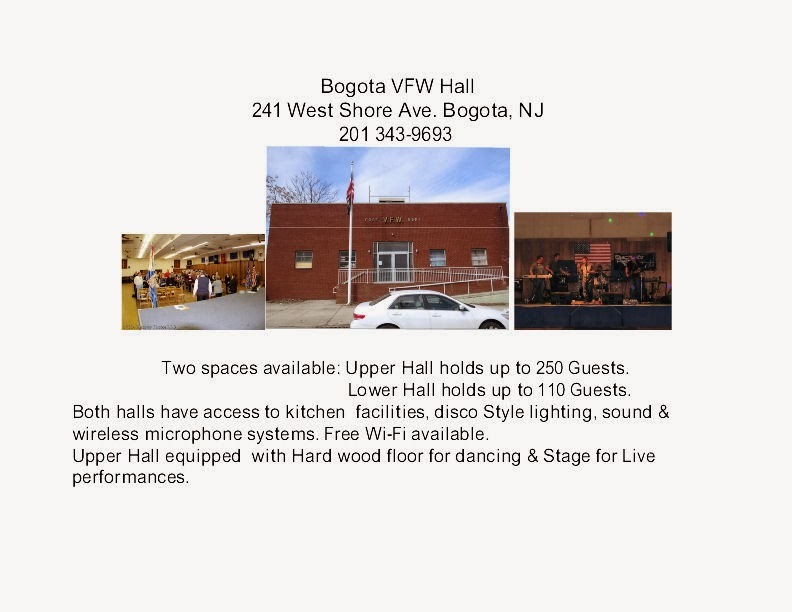 Future events that are scheduled are performances by the Thomas Jefferson Middle School Band, and a Senior Nutrition workshop.